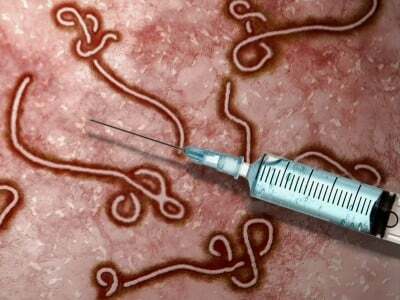 Everything that the alternative media has been warning about concerning the Ebola epidemic is now coming true, including that this latest disease scare would eventually be used by the U.S. government to push more drugs and vaccines on the gullible public. The director of the U.S. National Institute of Allergy and Infectious Diseases (NIAID), a division of the National Institutes of Health (NIH), recently spilled the beans to members of the Canadian press about a major component of the government’s agenda with this crisis: to vaccinate everyone. This was the implication, at least, of statements made by Dr. Anthony Fauci, who in the past has pushed vaccines for things like bird flu and swine flu. In keeping with this tradition of corruption, Dr. Fauci is now claiming that it may be impossible to stop the spread of Ebola unless everyone is vaccinated. “It is conceivable that this epidemic will not turn around even if we pour resources into it,” stated Dr. Fauci, as quoted by Modern Healthcare. Exactly which country Dr. Fauci is referring to here remains unclear. But presumably, any nation where an outbreak has been declared is susceptible to this Orwellian prospect, which could eventually include the U.S.
Dr. Fauci’s assumptions about the pouring out of resources are a bit presumptuous, though, and exceptionally misguided, as practically everything that the U.S. and the international community have done so far in response to the outbreak has only helped facilitate the spread of Ebola around the world. Air travel between West Africa and the U.S. is still taking place, for instance, and Centers for Disease Control and Prevention (CDC) director Tom Frieden insists that stopping it will make Ebola worse. The southern border of the country also remains wide open, allowing anyone with a potential infection to enter freely. The Obama Administration is now openly lying to the world about how Ebola is spread, which will only worsen the crisis. And all of this is while the World Health Organization (WHO) quietly admits that Ebola can go airborne. Nothing about the way that authorities anywhere in the world seem to be handling the crisis suggests that they actually want it to stop anytime soon. Instead, the stage is being set, it seems, for drug and vaccine interests to once again use a major international crisis — and one that may have been set off on purpose — to push more drugs and vaccines on the public. Back in the summer, Truthstream Media reported on statements made by virologist Dr. Ben Neuman that suggest the Ebola crisis is being purposely hyped, just like swine flu, bird flu and seasonal flu, to scare people into enriching the pocketbooks of the world’s drug lords. “It’s not just one drug we need for Ebola. We need a cocktail of drugs and perhaps a nice vaccine that could be used,” stated Dr. Neuman, in rapturous anticipation of what the powers that be have in store for the world.